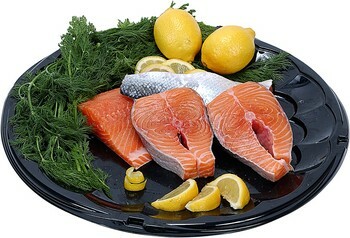 Fish is often cited as a super food and is important for your pregancy. Oily fish are rich in Omega-3, a fatty acid that is essential for our health and important for brain growth, the nervous system and eye development for your baby. It cannot be made by your body itself so needs to be sourced by food. It is recommended that during pregnancy and when breast feeding women take in about 500 milligrams of marine sourced Omega-3 daily. However, eating some oily fish pose serious risks to your pregnancy. Both the Heart Foundation and Food Standards Australia and New Zealand (FSANZ) express concern for pregnant women regarding the heavy metals that make their way into fish, in particular, mercury. See FSANZ’s advice here. In addition, catfish and sea perch need to be consumed in moderation. Even canned fish has its problems, as Bisephenol (BPA) used to line the tin of canned fish has been linked to a variety of health problems and should be avoided as much as possible. 2. Limit fish to a serving size of around 150 grams. 3. An alternative would be one serving only of sea perch per week, and no other fish for that week, or one serve per fortnight of flake, billfish, marlin and broadbill per fortnight and no other fish for that fortnight. This will provide adequate Omega-3 and help protect you and your baby from high mercury levels. Drinking Alcohol During Pregnancy – is it safe?